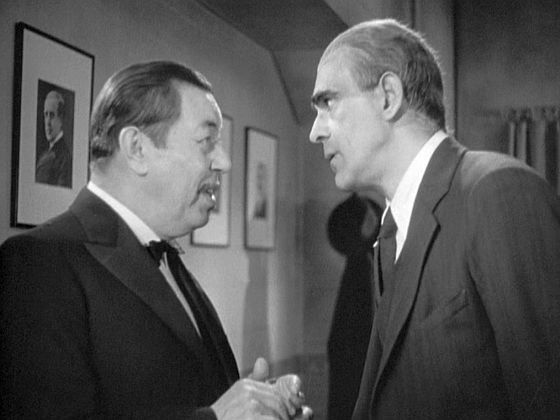 Charlie Chan encounters Gravelle in Charlie Chan at the Opera (1936). WEEKLY CHAT/FILM VIEWING: Charlie Chan's Secret starring Warner Oland Please join us as we discuss this film LIVE, watching it together via personal video! WEEKLY CHAT/FILM VIEWING: Charlie Chan at the Circus starring Warner Oland. Please join us as we discuss this film LIVE, watching it together via personal video! WEEKLY CHAT/FILM VIEWING: Charlie Chan at the Race Track starring Roland Winters. Please join us as we discuss this film LIVE, watching it together via personal video! Ross Martin, who would portray Charlie Chan in The Return of Charlie Chan (also known as Happiness is a Warm Clue), a made-for-television movie, is born in Grodek, Poland, on this day in 1920. WEEKLY CHAT/FILM VIEWING: Charlie Chan at the Opera starring Roland Winters. Please join us as we discuss this film LIVE, watching it together via personal video!